Michael Arrington posted a 60 seconds version of Steve Jobs January08 Macworld keynote. All the 4 things in less than 60′. The full keynote is available on Apple website. 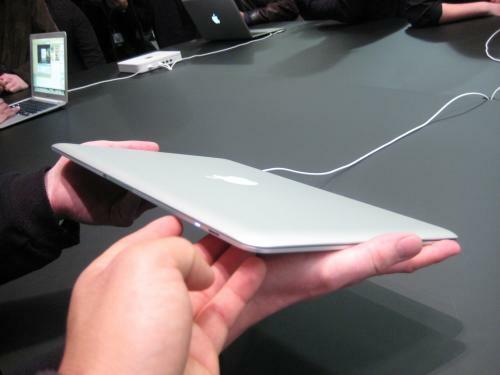 Even if the MacBook Air isn’t the thinnest laptop on earth, I’m very impressed by the technology. Mainly the led back-lit screen and the low-volt Intel. I was impressed by this number as well: 2.000.000. This is the number of iPhones sold during the last 200 days.